When you suffer a brain injury on the job, you will be evaluated by doctors. They will evaluate you based on objective tests as well as your own reported medical history. However, one type of testing that is not used as often in workers' compensation claims is neuropsychological testing, which may be valuable. In order to be used, neuropsychological testing needs to be well-standardized and objective, but clinical experience and judgment may also play a role. 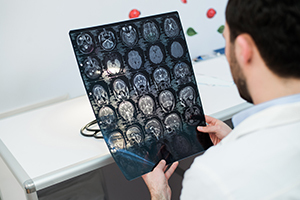 At Pulgini & Norton, our Boston workers’ compensation attorneys can help you pursue neuropsychological testing in connection with your claim. Brain injuries may happen on the job, particularly in certain industries like the construction industry. For example, if you fall from a ladder as a construction worker, and you were not using appropriate safety equipment (or even if you were), you may be knocked unconscious or suffer a concussion. Some people suffer severe concussions that result in lingering headaches, dizziness, and double vision. They may also suffer from concentration difficulties. Doctors may look at scans of the brain, but the image may not show just how the brain is working or the extent of the injury. After suffering a brain injury, you may be referred for neuropsychological testing. For example, a workers' compensation insurer may not believe that your symptoms are truly lasting as long as you say they are. Generally, a neuropsychological evaluation has three parts, including a medical records review, interviews, and the administration of tests measuring abilities and mood. A neuropsychologist may gather information related to cognitive functional capacity evaluations, malingering, and estimations of effort. The interviews may be with family members, coworkers, and supervisors. The neuropsychologist may also need a job evaluation and job description. Generally, insurers' doctors and neuropsychologists are not without bias. They know that they may not get further work from an insurer if they support too many claimants' claims. The Department of Industrial Accidents (DIA) has impartial physicians who examine injured workers in connection with any pending disputes over medical issues—including issues related to brain injuries. Formal hearings cannot take place if there is a medical issue and a physician from the DIA's list has not examined the injured worker. The impartial report is the judge's sole medical evidence unless the medical issues are complex or the impartial report is inadequate. If you are asked to submit evidence to the DIA in connection with a hearing, you may submit neuropsychological testing results from a neuropsychologist of your choosing. Based on the evaluation made by the neuropsychologist, a comprehensive report will be written up summarizing the medical history, outlining areas in which cognitive or emotional functioning has been altered, and recommending whether you can go back to work. Brain injuries may be devastating. If you are one of the breadwinners in your family, you may rightly be concerned about your ability to work after suffering a concussion, cognitive deficits, or worse. If you suffered a brain injury on the job and are concerned about neuropsychological testing, Pulgini & Norton's Boston workers' compensation lawyers may be able to help. We can assist claimants in Weymouth, Medford, and Braintree, among other Massachusetts communities. Call us at 781-843-2200 or complete our online form to set up a free appointment with a job injury attorney.